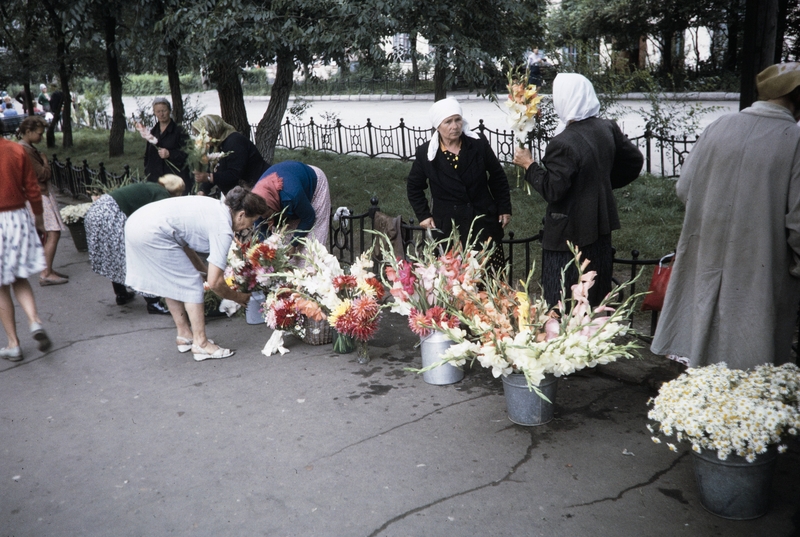 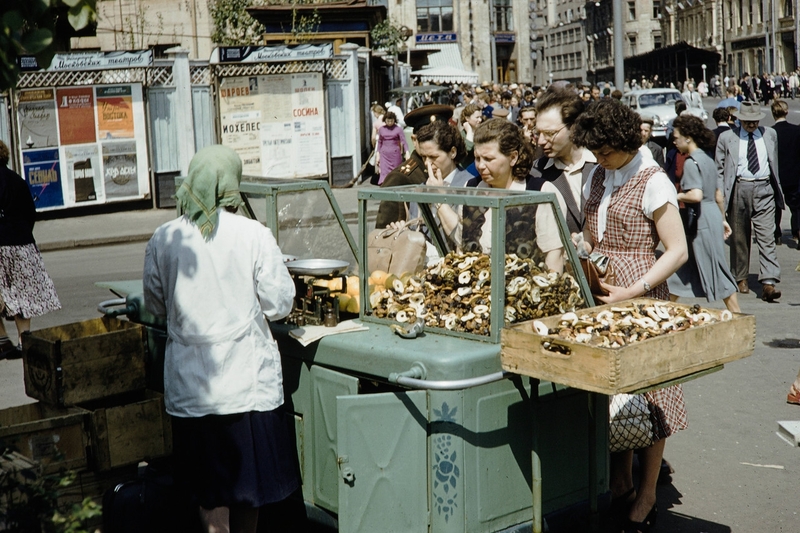 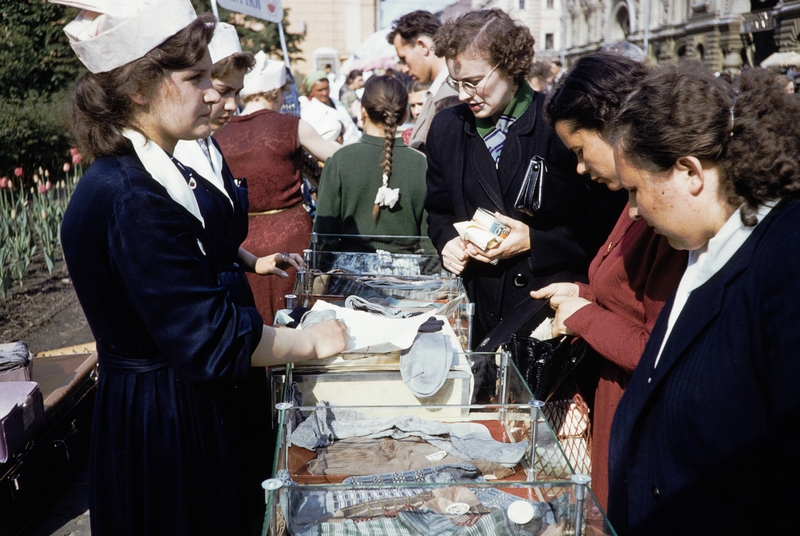 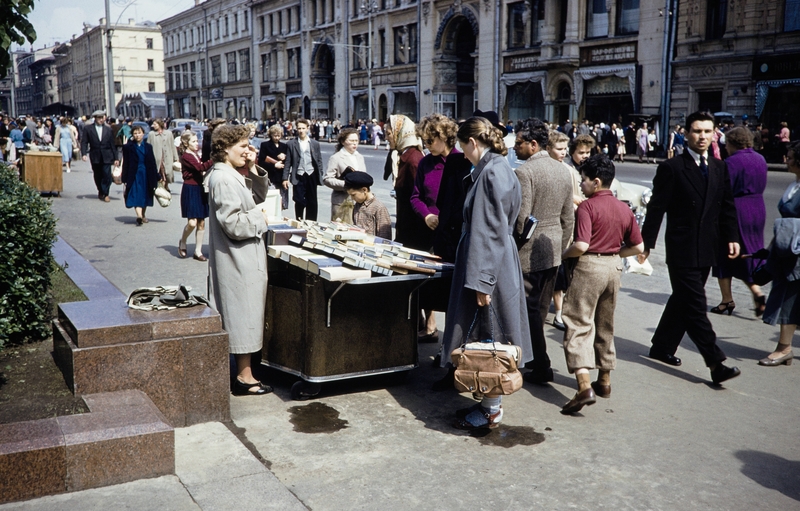 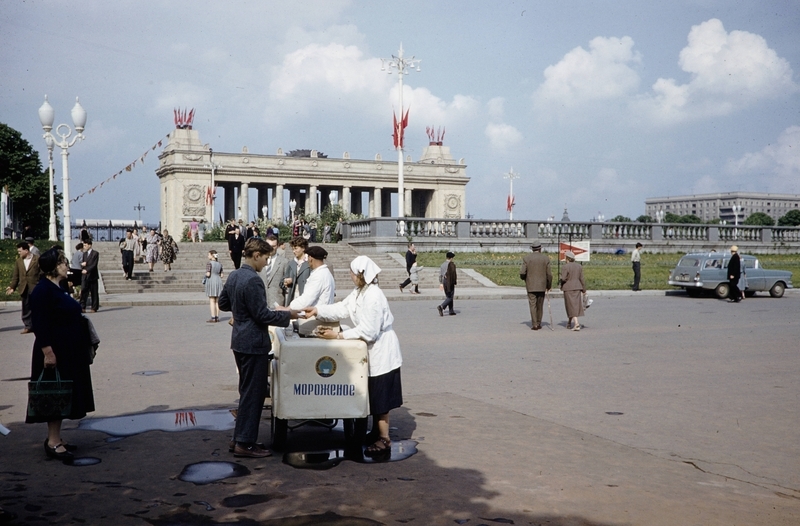 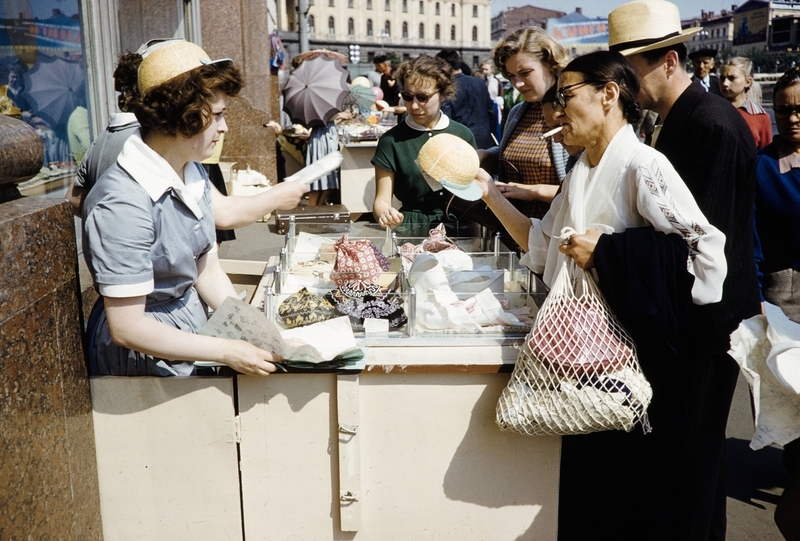 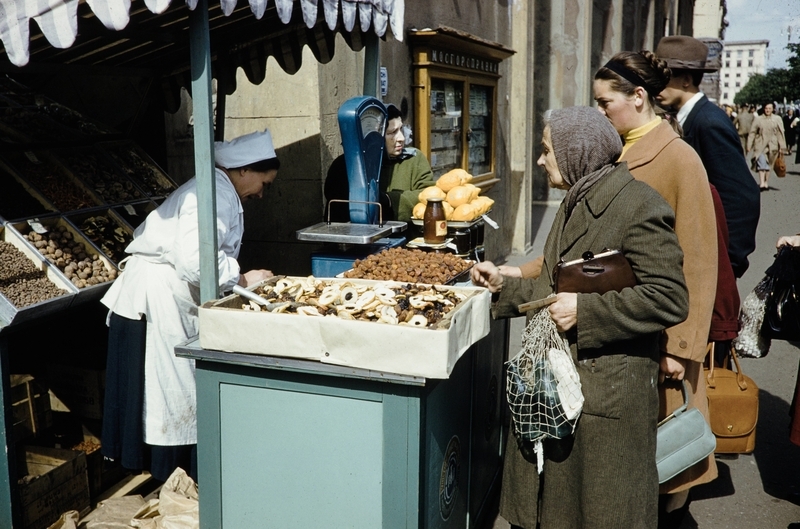 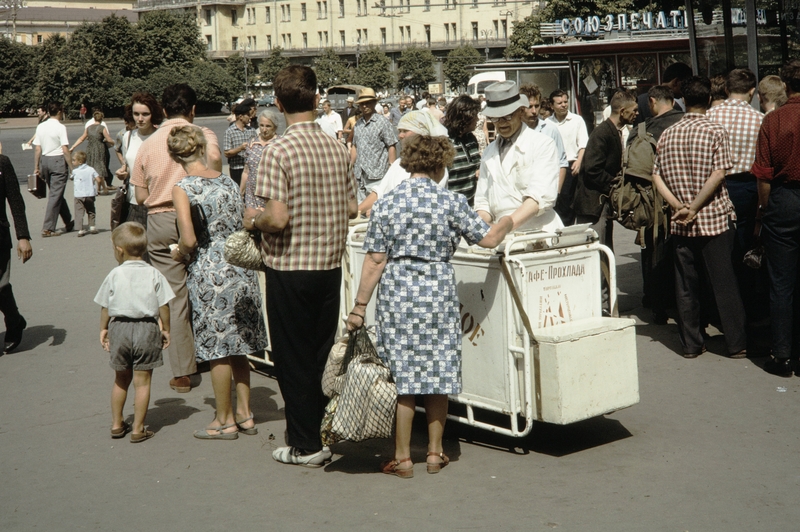 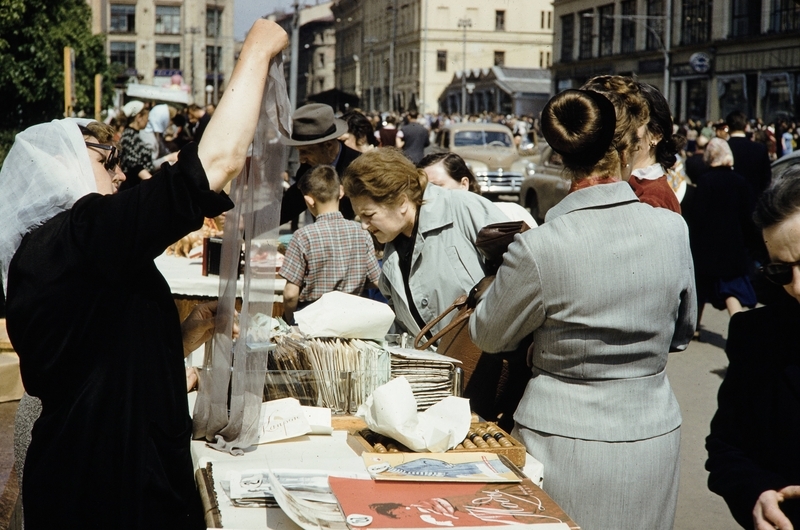 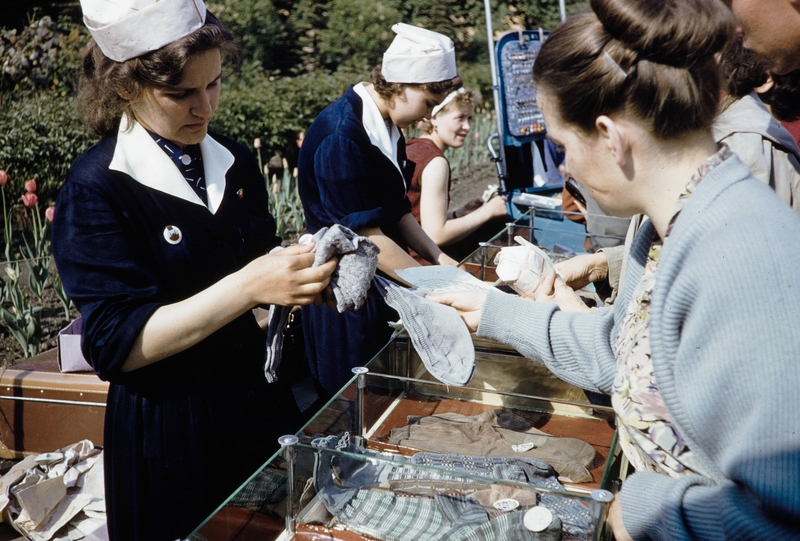 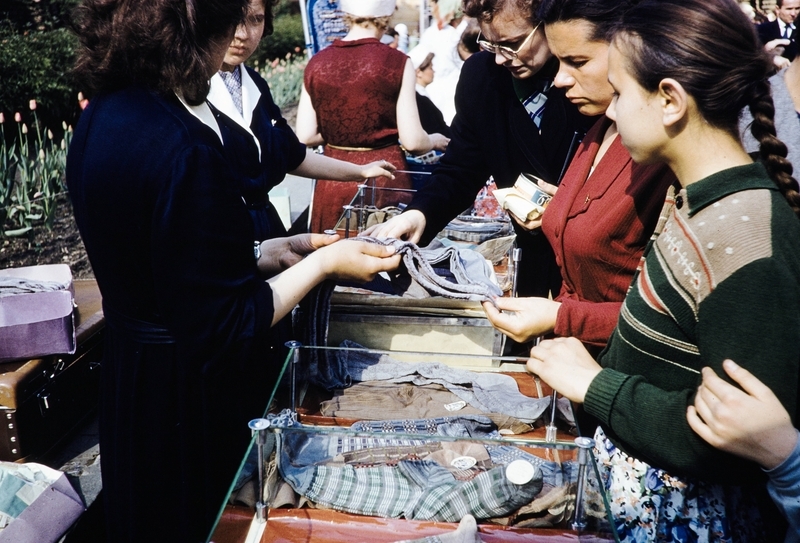 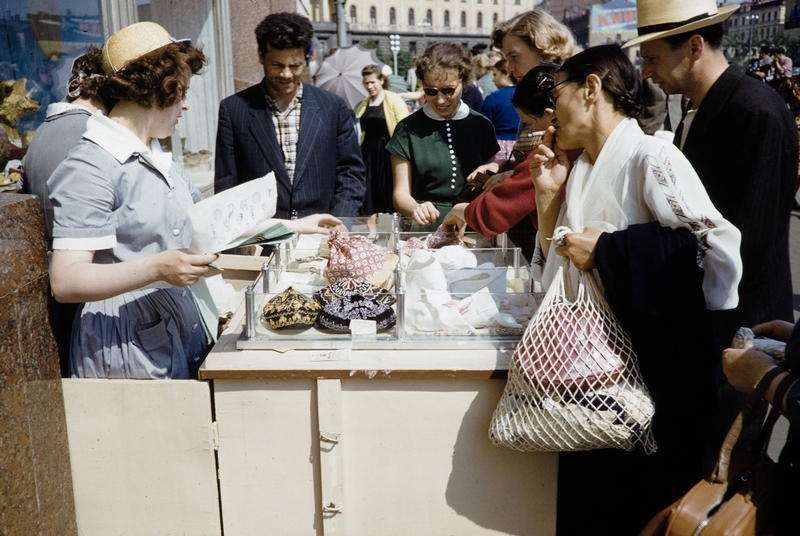 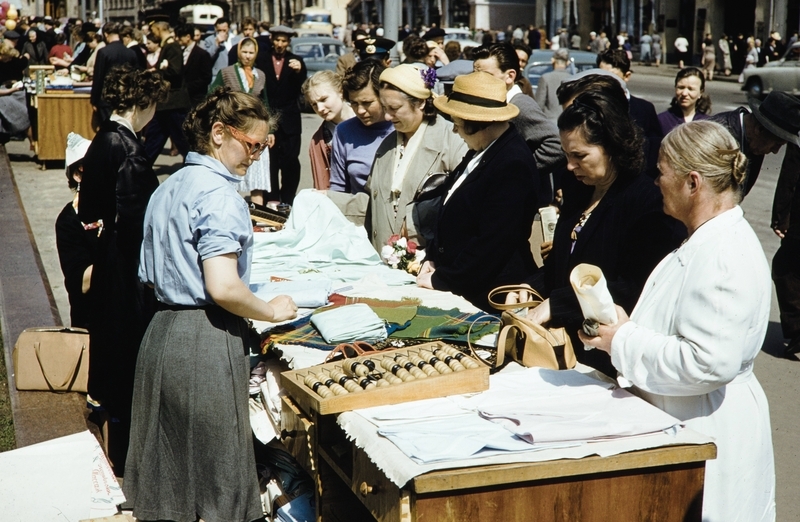 American photographer visited Moscow in 1950s-1960s and here is his collection of color photos of the various street trade he encountered in the city. 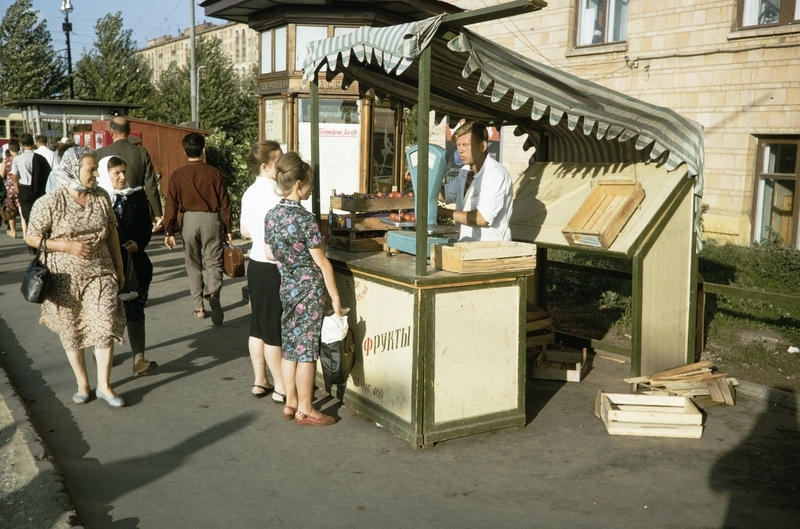 Food, and not only for sale check it out. 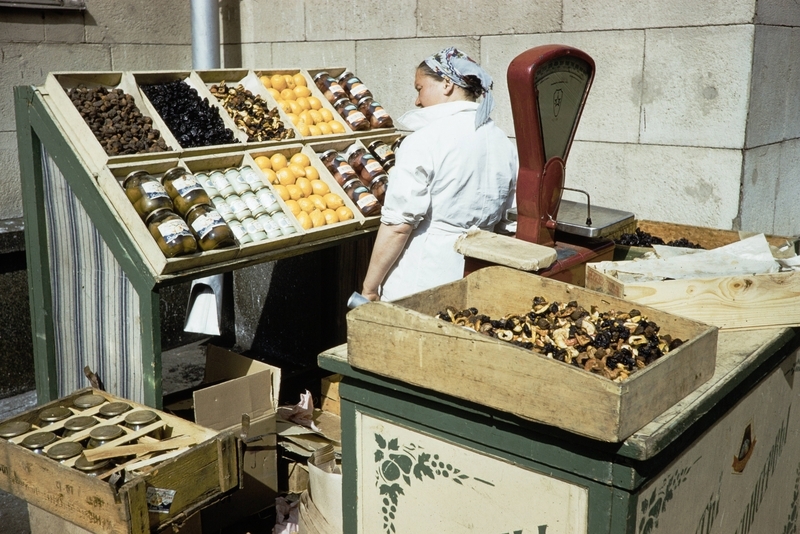 For example on the first photo and here it is up close is the dried fruits stall. 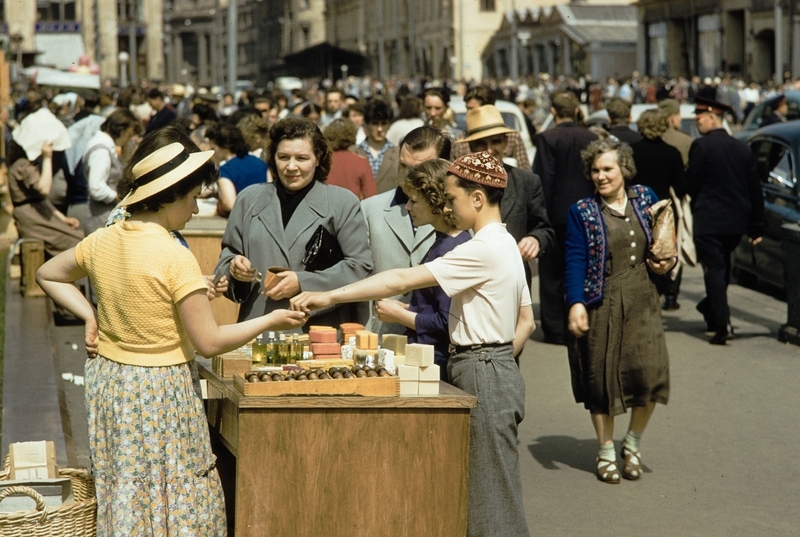 Selling perfumes, soaps, etc right outside the market. More icecream now looking more authentic. 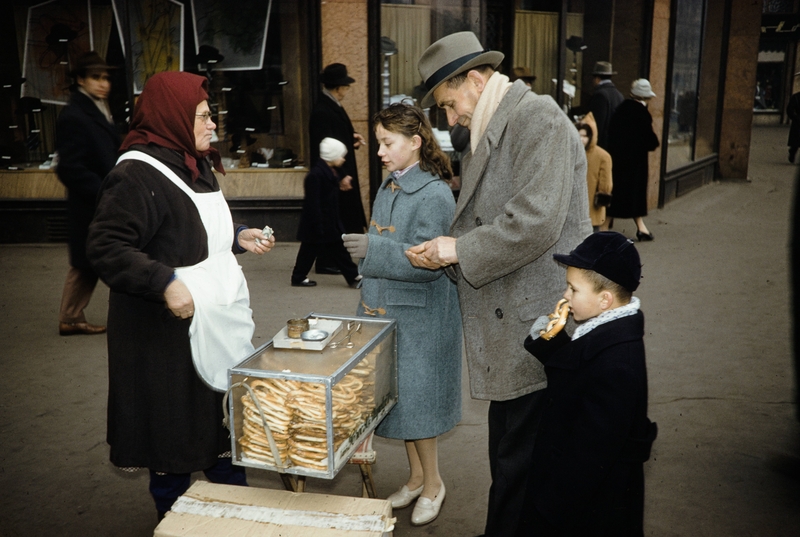 Some baked goods, sort of pretzels or something? 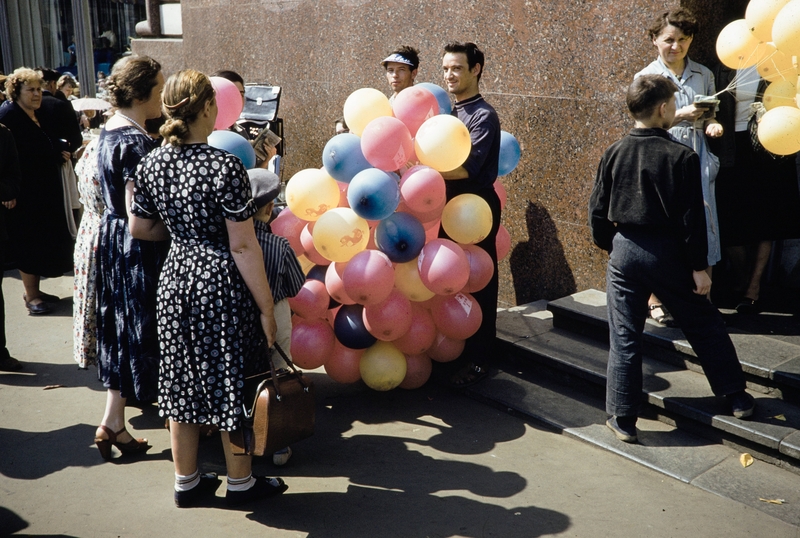 Also balloons. Probably not helium filled but rather just with air. 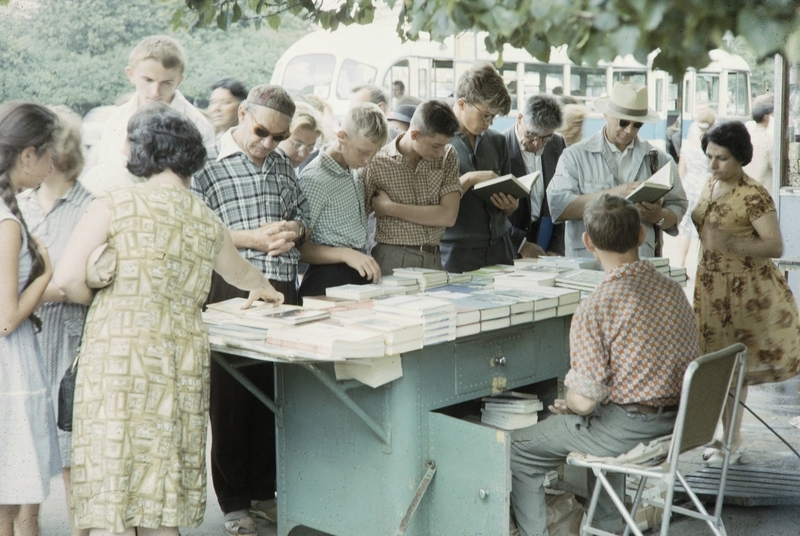 “Russia – most reading country in the world” was the saying. 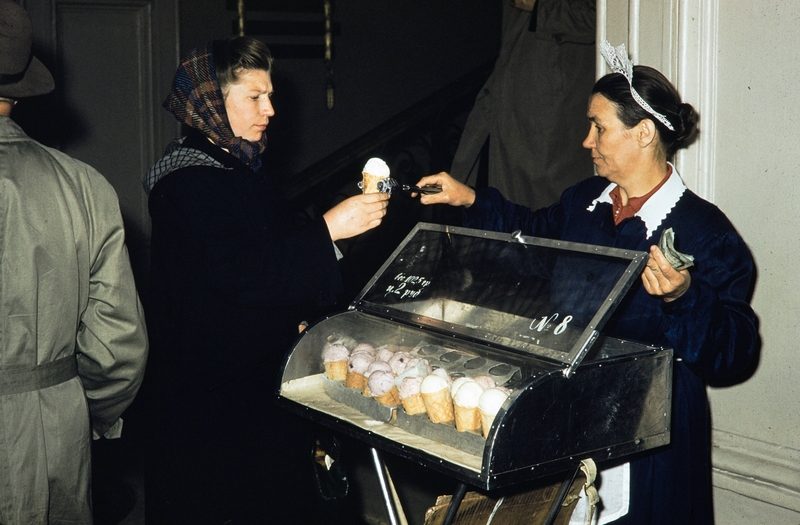 Probably not true anymore. And that’s it! 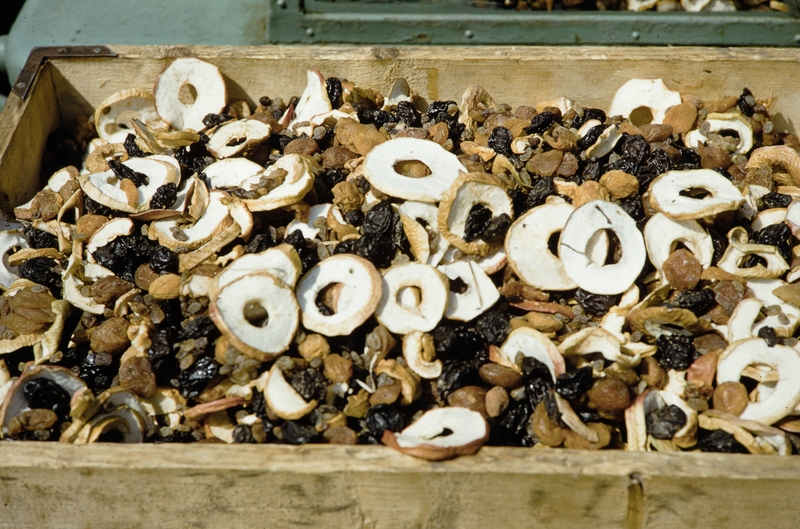 Enjoyed those?